This is brilliant! Was it a Christmas present? Excellent! All I need now is a drummer! I assume you know this drummer. Is this your husband? I wish!! 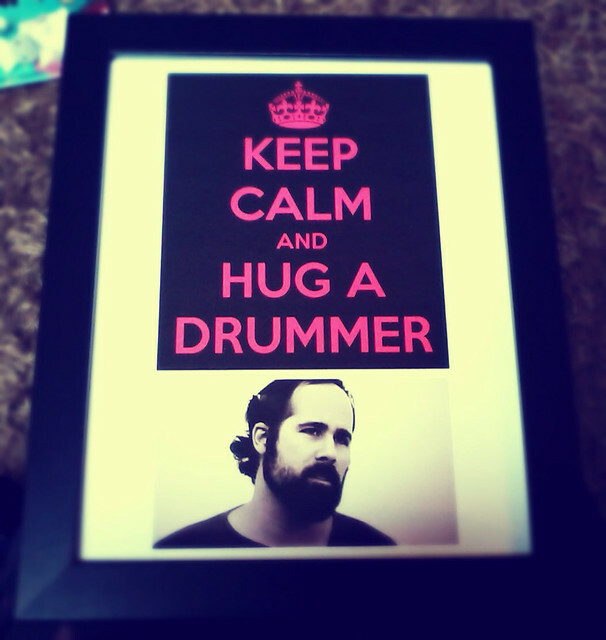 He's Ronnie Vannucci, the drummer from my fave band The Killers. I I have a slight crush on him. My husband made me the pic for Christmas! LOL I got a cup for Xmas that says Keep Calm and eat Cupcakes!